Linda has a First Class Honours Degree in Applied Mathematics, which was followed by work on scientific models in the power generation industry and a PhD thesis on probability models for the failure of composite materials. Linda has many years experience of working on reliability problems, with a strong emphasis on the modelling and prediction of engineering material failure. She has worked in collaboration with scientific agencies and a wide spectrum of industrial and commercial concerns. Linda’s association with higher education is long standing and she has substantial experience of teaching engineers and post-experience students. She has been closely involved in the development of Master's Degree programmes. Linda has many years of public and external examining experience at all levels. Linda has published numerous papers on failure and lifetime models and is author of the text Reliability Modelling – a Statistical Approach. She has regularly refereed papers for mainstream journals and served as Joint Editor of the Royal Statistical Society Journal, Series D, The Statistician, from 1999 to 2003. Linda has been a committee member for the Business and Industrial Section of the Royal Statistical Society and a member of the RSS Publications Network. Linda has held senior academic management positions at City - Head of the Department of Actuarial Science and Statistics 1995-2000 and Associate Dean for Teaching and Learning at Cass 2002-2007. 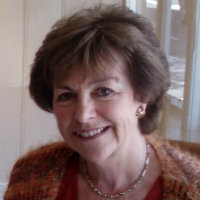 In 2008 Linda was awarded a Cass School Prize for her outstanding contribution to teaching and learning on the postgraduate programme, and in 2010 was shortlisted for a Student Voice teaching award. Linda has an ongoing interest in the probability modelling of games and the statistical modelling of sailing handicaps. Her 2009 work on handicap modelling published by the Royal Statistical Society was reproduced in the Spring 2010 newsletter of London's Little Ship Club. This work has since been further developed, resulting in simple models that provide efficient estimates of handicap numbers, in particular Portsmouth Numbers, a handicap scheme that is popular with many sailing clubs, but which has been increasingly difficult to operate without a formula basis. Several clubs successfully apply Linda's models and Linda continues to be a leading authority on modelling handicap ratings. Background and up-to-date commentary on the model range is given at the personal webpage shown below. Wolstenholme, L.C. (1999). Reliability Modelling: A Statistical Approach. Chapman & Hall/CRC. ISBN 978-1-58488-014-1. Wolstenholme, L. (2003). Use of extreme values in reliability assessment of composite materials. In Blischke, W.R. and Murthy, D.N.P. (Eds. ), Case Studies in Reliability and Maintenance (pp. 313–330). Hoboken: Wiley. ISBN 978-0-471-45873-9. Wolstenholme, L. (2000). Statistical Modelling and Testing of Variability in Data. In Hodgkinson, J. (Ed. ), Mechanical Testing of Advanced Fibre Composites (pp. 314–339). Cambridge: Woodhead Publishing. ISBN 978-1-85573-312-1. Wolstenholme, L. and Crowder, M.J. (1995). Statistical analysis of data. In Dyson, B.F., Loveday, M.S. and Gee, M.G. (Eds. ), Materials Metrology and Standards for Structural Performance (pp. 290–302). London: Chapman & Hall. ISBN 978-0-412-58270-7. Wolstenholme, L. and Crowder, M.J. (1995). Statistical methodology for intercomparison studies. In Dyson, B.F., Loveday, M.S. and Gee, M.G. (Eds. ), Materials Metrology and Standards for Structural Performance (pp. 303–313). London: Chapman & Hall. ISBN 978-0-412-58270-7. Wolstenholme, L. (2007). Regression Modelling in Sailing Handicap Systems. 1st IMA International Conference on Mathematics in Sport 24-27 June, Manchester. Wolstenholme, L. (1995). Comparison by Markov analysis of one-to-one and pooled standby redundant systems. AeroTech95. Wolstenholme, L. (2009). Sailing close to the statistics. Significance, 6(2), pp. 52–57. doi:10.1111/j.1740-9713.2009.00349.x . Wolstenholme, L.C. (2007). Regression modelling in sailing handicap systems. International Conference on Mathematics in Sport Proceedings, 2007(1 - First conference). Wolstenholme, L. and Haigh, J. (2006). Deal or no deal? Significance, 3(4), pp. 191–192. doi:10.1111/j.1740-9713.2006.00209.x . Wolstenholme, L.C. (2002). A LIKELIHOOD BASED TEST FOR THE WEAKEST-LINK PROPERTY USING NON-PARAMETRIC PRINCIPLES AND IN THE PRESENCE OF MISSING DATA. Communications in Statistics - Simulation and Computation, 31(2), pp. 201–212. doi:10.1081/sac-120003335 . Watkins, A. and Wolstenholme, L. (2002). Editorial. J ROY STAT SOC D-STA, 51, pp. 127–128. doi:10.1111/1467-9884.00305 . Wolstenholme, L.C. (1996). An alternative to the weibull distribution. Communications in Statistics Part B: Simulation and Computation, 25(1), pp. 119–137. doi:10.1080/03610919608813302 . Wolstenholme, L.C. (1995). A Nonparametric Test of the Weakest-Link Principle. Technometrics, 37(2), pp. 169–175. doi:10.1080/00401706.1995.10484301 . Rudlin, J.R. and Wolstenholme, L.C. (1992). Development of statistical probability of detection models using actual trial inspection data. British Journal of Non-Destructive Testing, 34(12), pp. 583–589. Wolstenholme, L.C. (1991). A dependent bundles model for estimating stress concentrations in fibre-matrix composites. Journal of Materials Science, 26(17), pp. 4599–4614. doi:10.1007/BF00612394 . Wolstenholme, L.C. and Smith, R.L. (1989). Statistical inference about stress concentrations in fibre-matrix composites. Journal of Materials Science, 24(5), pp. 1559–1569. doi:10.1007/BF01105671 . Wolstenholme, L. and Soper, S. (1993). Morse Taxonomy of Architectures..
Wolstenholme, L. (1997). A characterisation of phase type distributions. London, UK: Faculty of Actuarial Science & Insurance, City University London. IMA Sport 2007. Manchester (2007). Guest speaker at "Seventh Reliability Challenge" meeting. London (2002).